I recently celebrated my 34th birthday on November 11th and I knew I had to bring it with style! I decided to plan brunch at BrickTops in Atlanta (the peach bellini is to die for.. I had 2!) with my family and dinner with girlfriends. I stopped by Forever 21 and found a couple of bomb pieces I instantly fell in love with. During this shopping trip, I noticed a much more luxurious feel to the clothing than ever before. Tons of warm colors, sequin and velvet! 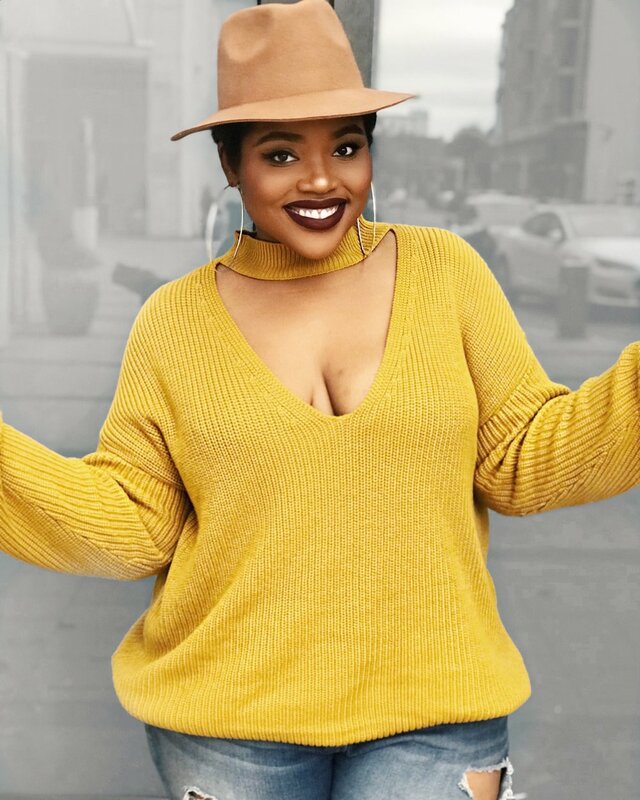 Mustard is a color I generally don't gravitate towards but this sweater was calling my name! I purchased a size 3X because I wanted it over super over sized and cozy. Because I'm sort of a hat snob, I felt the look wouldn't be complete without one. I paired a small brim tan fedora to complete the look. It screams classy, chic and confidence. All of which I'm taking with me into this next year of life. A vampy lip was only fitting for this classic yet trendy look. "When I die, bury me inside a sequin piece!" It's the ultimate stand out piece for any occasion. Every girl must own something sequin. When I saw this hooded crop jacket, I knew it had to be mine. I decided to pair mine with black leggings with gold zippers and black suede boots.